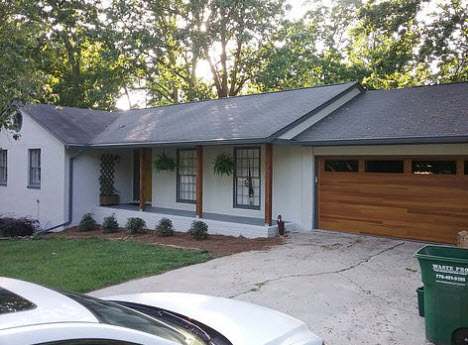 ​South-East Painting & Protective Coatings is a locally owned house paint company serving Tucker, Georgia and all of Metro Atlanta. Our company has its roots in Tucker as Bryce Benefield, the owner, grew up here. Our team puts the time into thorough prep work and detailed paint application, give us a call. We provide quality workmanship and long lasting finish to your home painting project. Our team stays at your home until the project is complete. We don't move our painters around to work on other homes. We pride ourselves on thorough prep work to protect your home and give the quality finish you want to last for years. "Proper Prep = Proper Paint." Pricing transparency shows you elements of each room that we can paint so you can choose any or all. Repairs can be a hassle, let us handle these for you. We can paint all exteriors including stucco and brick. A paint consultation includes a detailed quote and identifies needed repairs, paint options and suggested finishes to increase the value of your home. Your satisfaction is guaranteed. You do not pay until your project is complete and you have approved the work. 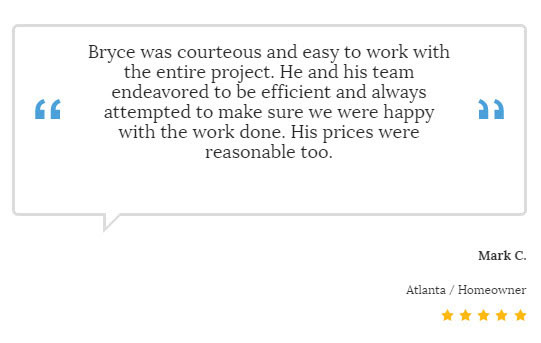 We want to be your contractor and consultant to give you the most out of your project. Give us a call today. We ensure a thorough inspection of your home and detailed quote which gives you choices in paints, surfaces and needed repairs. ​We find customers are more comfortable when they know our painting process so we've outlined it below. ​Review project with client to ensure 100% satisfied. A residential exterior paint job gives your home that "new" feeling and increases your home's value by strengthening the outside paint protection layer. We've completed a number of interior and exterior paint projects in Tucker. We'll inspect the exterior surfaces of your home and point out places where caulking and sealant cover tiny pockets where air and rain water are entering your home. We'll show you were we can apply sealants to reduce damage to your home should air and water continue to enter where it is not meant to. With our humid climate, the extremities wear on our home's exterior surfaces. While paint colors make our homes look good, their primary purpose is to create a barrier to keep the elements from penetrating wood and other products that form the structure of our homes. We encourage you to take a look at your home several times a year to look for cracks or broken seals as making minor repairs to plug cracks is far less expensive that future repairs for damage. Want a refresh of your home? Searching for the latest interior paint colors? We offer color consultation and have a Paint Color Expert who knows the latest trending colors and what's popular in the neighborhood. When you request an estimate, we'll conduct a review of your home's interior and note any needed repairs that maybe appropriate to complete before a paint project. Often we can take care of those repairs and will provide pricing on the estimate. We'll also provide a timeframe and work around your schedule. Our Interior Painting section gives more ideas on how to maximize your home painting project.